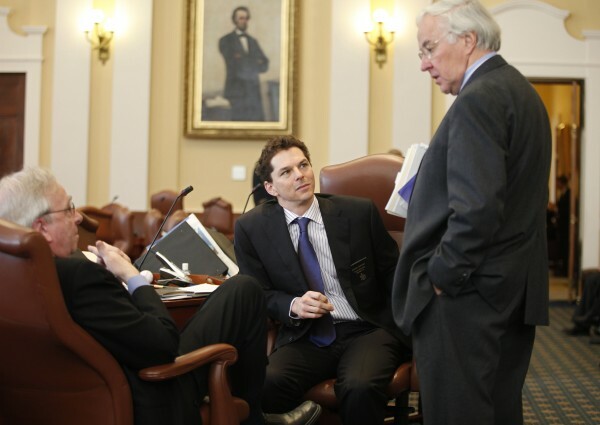 Sen. Joseph Brannigan (left), and Sen. Justin Alfond, (D-Portland), center, speak with Rep. John Martin (D-Eagle Lake), in 2010 at the State House in Augusta. On Tuesday night, Martin, one of the longest serving state legislators in the nation, lost his House seat to Republican Allen Michael Nadeau, according to early returns. 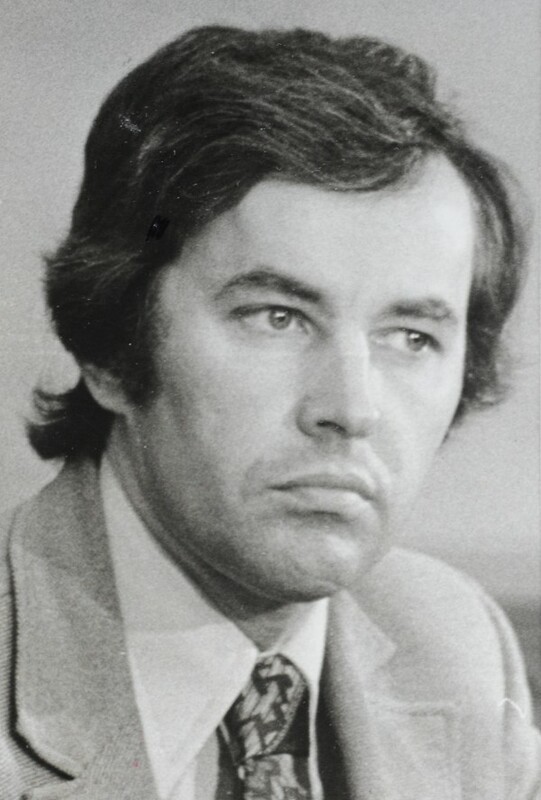 A November 1975 black and white photo of John L. Martin. 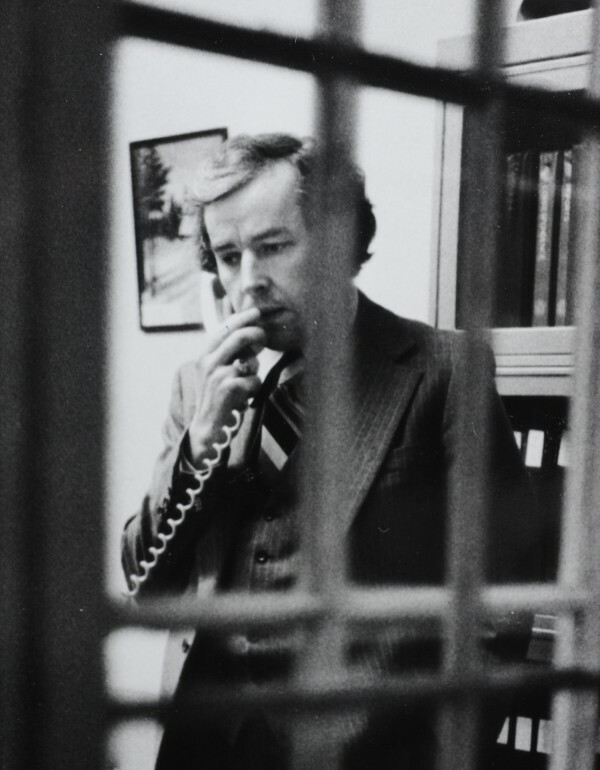 A March 31,1980 black and white photo of John L. Martin. 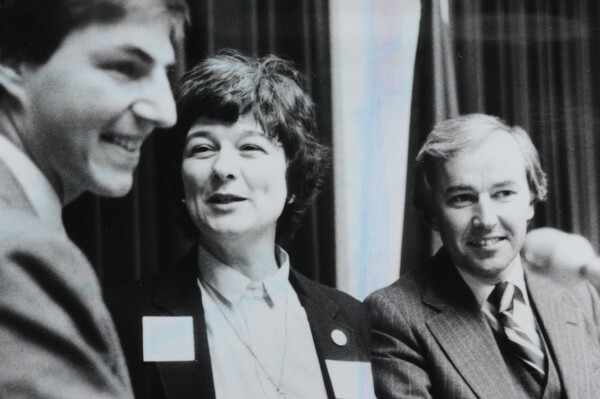 A Dec. 1982 black and white photo of John L. Martin, far right, with Libby Mitchell, center, and John Diamond, left. Then-Gov. 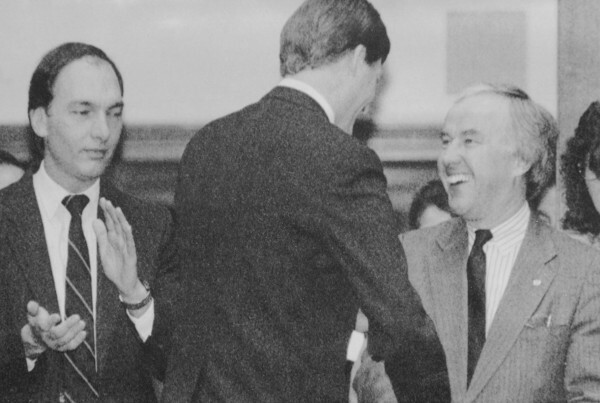 John McKernan (center) shakes hands with then House Speaker John L. Martin, D-Eagle Lake, after Maine lawmakers were sworn in by the Governor in Augusta in 1992. Martin later beat back a challenge to his position as as House Speaker by Rep. John Michael, D-Auburn, left. 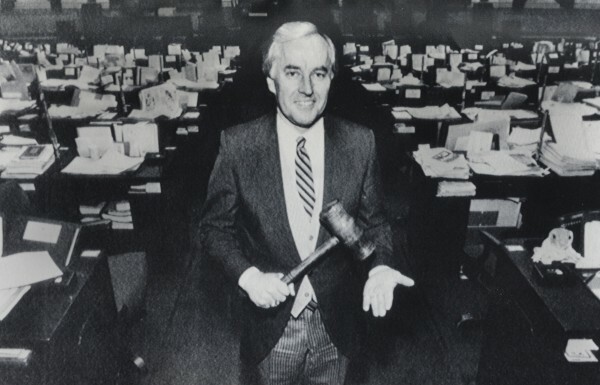 House Speaker John L. Martin poses with his gavel in the House chamber at the State House in Augusta in this January 1989 photo. In 1989 he entered his 25th year as a state legislator. AUGUSTA, Maine — Any way you cut it, it’s the end of an era. Rep. John Martin, D-Eagle Lake, one of the most enduring and storied politicians in Maine history, lost his bid to return to the Legislature on Tuesday. According to unofficial election results compiled by the Bangor Daily News, Martin earned just 1,854 votes, compared with 2,132 votes for Republican Allen Michael Nadeau. Martin, in a brief interview with the Bangor Daily News early Wednesday, blamed outside money in his race for his loss. On Monday, the Maine Ethics Commission voted unanimously that Nadeau, Martin’s challenger, violated Maine election law when Nadeau’s treasurer spent money on Nadeau’s behalf through an outside group. Nadeau, whose candidacy was supported by the Maine Clean Election Act, is prohibited from accepting contributions. Nadeau declined to comment on his win over Martin early Wednesday morning, but Martin said the expenditure issue was a factor in the outcome. Martin, who was born, raised and educated in Maine, was first elected to the Maine House of Representatives in 1964. He went on to serve as speaker of the House for an unprecedented 10 terms. Martin also served in the Maine Senate from 2000-2008 before returning to his seat in the House, representing the Aroostook County towns of Allagash, Ashland, Eagle Lake, Fort Kent, St. Francis and Wallagrass, the plantations of Garfield, Nashville, St. John and Winterville, plus the unorganized territory of Northwest Aroostook. Over the years, Martin has solidified his position as a career politician in Maine and beyond. In addition to his tenure in the Maine Legislature, he has served in numerous positions with the National Conference of State Legislatures, the Foundation for State Legislatures, the Democratic State Legislative Leaders Association and the National Democratic Committee. In the most recent Legislative session, Martin was the ranking House Democrat on the powerful Appropriations and Financial Affairs Committee, where he was often consulted by legislators of both parties for his institutional knowledge on all manner of issues. In many instances, Martin has not hesitated to wield his considerable influence when he deemed fit, according to a book called Maine Politics and Government, by Kenneth T. Palmer, G. Thomas Taylor and Marcus A. Librizzi. Martin was a driving force behind developing the Legislature’s current system of having co-chairpersons of its committees. Later, in 1986, Martin was a driving force behind a political furor that at the time was coined the “payrolls vs. pickerel” conflict, which involved the Big A Dam, a proposal for a hydroelectric project by Great Northern Paper Co. on a branch of the Penobscot River. Martin is also well-known in connection with a scandal called Ballotgate in 1992, when one of his aides, Ken Allen, pleaded guilty to two counts of burglary and ballot tampering in connection with two closely contested elections for the Maine House. This event helped propel legislative term limits, at the time a nationwide movement, in Maine. Term limits that restrict legislators to four consecutive two-year terms in office were enacted in Maine, but Martin has remained in office by alternating between the House and Senate. Martin is also is known to work diligently behind the scenes to recruit and encourage Democrats to run for office. He helped recruit Pat McGowan — who would later run for governor in the 2010 Democratic primary — to run for Congress; and future Senate president and 2010 gubernatorial candidate Libby Mitchell to run for the U.S. Senate in 1984. He was also a close ally to Maine political titans Ed Muskie and George Mitchell. David Sorensen, a spokesman for the Maine Republican Party, told the Bangor Daily News early Wednesday that Martin’s ouster was inevitable.